We are currently working on our Mommy and Me ABC units. 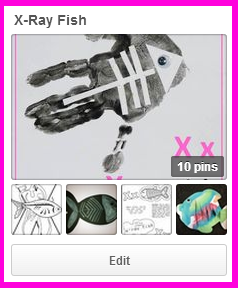 This week we did the letter X and X-Ray Fish. Unless otherwise specified, all of the printables are from my Mommy and Me ABC Printables, which are free as we complete them (for a detailed list of all the materials in the printables, check out this post). Xander has been funny with play dough lately! He never wants to play with it if I ask him, but if I set all the tools on his table, then he wants to play and have a blast! He made some Xs on his alphabet play dough mats with his dough stampers. We also used some cookie cutters to make Xs and a fish. We did some X puzzles. We matched the baby x-ray fish to their Spanish color seas. He loves helping the animals find their "homes." Finding all the Xs to get the baby fish to its mommy. He used Do-A-Dot markes to mark all of the Xs. I found these cute cards focusing on the final X sound from This Reading Mama. At first I had Xander use his See and Stamps, then we practiced making Xs with a dry erase marker. He wanted to keep erasing and doing these activities again and again. This week he grabbed the mallet from his pound a peg toy and "hammered" the pegs into his peg letter X. This week I printed our lacing page on cardstock and used a white crayon to make some Xs. Then I had Xander paint it with watercolors to reveal the "secret" Xs. He is a very serious painter, but that doesn't mean he didn't enjoy it! Using his training scissors to cut apart the fish. No idea why I haven't let him play on this website in so long! I was blown away with how well he did! He enjoyed reading many of the books and could figure out almost all of the word games! Still excited about having his own to-do list! Good idea using words that end in X, I'm going to pin that so I remember it when we finally get there. One set is from Michaels last year. A couple we have are from a garage sales. Here are some from Amazon. We have the first on and others similar to the following ones. Lately we have been getting into harder ones that divide out all the letters also. Thank you SO MUCH! BTW, absolutely LOVE your website! We had been planning on doing some sort of animal abc's with our grandson to go with his Little People A to Z Learning Zoo and AlphaTales books. Your Animal ABC's fits in perfectly. Thanks for putting in all the effort to get these together! Aw, thank you so much for the kind words! I'm glad it will work for you! I'm sorry that the links didn't work. Here's another try.